Enrollment open Is Now Open! Have life’s distractions gotten in the way of you hitting your goals and building your business the way you desire? Have you lost focus on achieving the profits you know are possible in your business? Here is where it all ends. Many entrepreneurs lose sight and hope on their dreams because of life’s distractions. Whether they are personal life issues or so many options. Many are trying new things all the time and many of the things have nothing to do with where they’re headed. I’ll help you simplify your process so you can truly see the change! Enrollment includes Bonus courses you can access now. Tuesday, April 9th, 8:30 pm (EST) and continues weekly for 4 weeks! You have tons of ideas and dreams for your life and business. But not just any life and business. You want to help people in a major way while creating something amazing for yourself and your family! So much so you keep thinking of new ideas and new ways you can share your genius with them! Sometimes, those ideas come so fast… you lose focus. Do your dreams and goals overwhelm you? What’s the real reason you haven’t moved forward? Or, maybe you have, but you still feel like you are all over the place! Maybe things are working, but not how you know they truly should be. There is no flow to what you are creating! Years ago, I felt the same way too. Staying in reflection mode is where you are consumed by your past or a situation that doesn’t allow you to gain the true momentum needed to reach your goals. That time caused me to make some decisions. I could either allow what I was facing at home to consume me or figure how to smash my goals while overcoming adversity. Most entrepreneurs get lost in trials and challenges and spend years simply stuck in neutral. I knew the value of time, it was constantly passing me by, so I set out to do one major thing that changed my business and life. I had to get really clear on what I truly wanted and align fully with it. I developed systems that allowed me to push forward and smash goals, instead of just talking about them or praying they would manifest. I began randomly sharing the systems with others. I began using the principals in my coaching and consulting and watching other entrepreneurs use them and S.O.A.R. One client increased her income by 30% in as little 3 weeks after applying the principals in this course. Not only do my clients see amazing results, but I still use the systems and principals today to plan out my entire year of services and profit projections every year before the next year ever starts. It has become one of my staple group Coaching Programs only offered a few times yearly. “Slay Your Plans and Profit” is now open for 2019. Are you ready to move into a real plan and greater profits in your business, defeat procrastination and move from planning to implementing and profiting? Studies show that most businesses don’t fail because they lack money, or staff or support. They fail because they don’t have a real plan! A clear Vision is what helps you develop a plan that actually works. Vision is that thing that simplifies your life! It helps you make powerful, purposeful decisions that impact the results you have in your life! It picks your company, it chooses your destinations and dictates your focus! Without it, or at least without clarity on it, there is a tendency to do anything, or some of everything, which often just leads to confusion and burn out! WIth clarity on your Vision, you become sensitive to how you invest your time, energy, resources, and your money! The moment you gain vision clarity, your business and life will shift, for many…you’ll make quantum leaps! A Quantum Leap is when your business and life does a huge or sudden ascension! I’ve worked with individuals whose lives changed drastically in 90 days to 1 year when they gained clarity on their vision and applied the strategies and principals I teach on how to move forward. For some, it’s like redeeming the time that once felt lost and taking massive action with a consistent flow on what they truly desire for their destiny! for your Life and Business? Not sure what to do with all your ideas and goals? Do they sometimes feel like a never-ending list? Does your big idea(dream) feel as if it’s taking a lot longer than you imagined? Working your vision should allow you to create a lifestyle you love! Many entrepreneurs find themselves in the same place, mainly because their big idea(goal) is still in the dream stage. This is the stage where you’ve simply been winging it! Not fully connected and unclear! Maybe what you desire has taken you places, but not where you truly desire to go in your business and life. Your dreams(goals) need real clarity, strategy… a real plan. Studies show that not having a real strategy and plan are one of the major reasons entrepreneurs don’t make it! This is an experience that will change the way you operate and profit in your business and life! Ever wondered how some people manage to get so much done in their business? If they are doing it effectively I’m willing to bet they have a strategy! If you have a lot of ideas for your business that seem stuck in neutral or you constantly find yourself back to square 1, the same things on your goal list each year, chances are great that you have not clearly defined a real plan with a strategy that will yield results. This course will give you a roadmap to keep you focused on the main thing – allowing you more personal freedom and a path to profits you desire! This training is an experience! How to take your plans and put it on paper with relevant results-driven action steps so that you can profit. Pinpoint and clarify the part of your vision connected to your business that you need to work on over the next 12 months so that you can stay focused on what you do for the next year’s profitability. 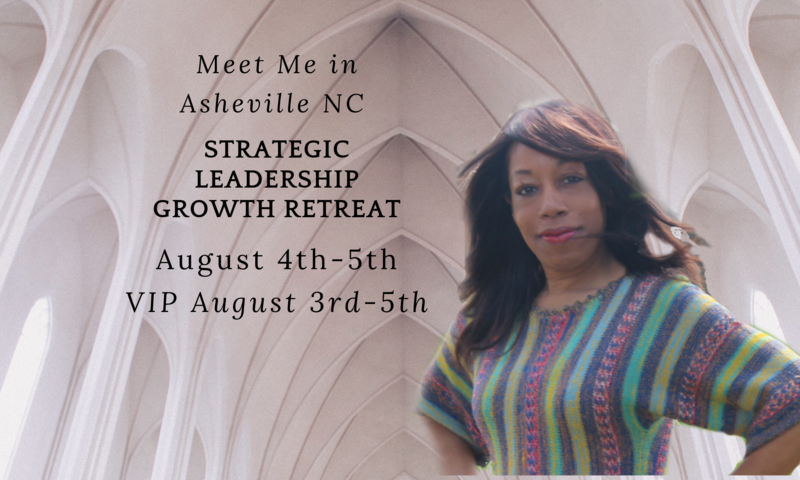 In this transformational 4-week planning class you will take your vision and make it into a strategy that guides you in your processes and profit goals over the next 12 months. Give your ideas, dreams and goals actionable steps and directions. Clarity on what to do next in order to manifest your vision, gain more time freedom and produce the profits you desire in your life and business. Clarity is everything! You will learn your personal triggers that cause you to stop and start as well as distractions in your individual Journey that may be holding you back and how to apply steps to defeat them so that you can get “it” done. Simple ways to implement mindset shifts to help you move forward into manifesting what’s needed to create the business and lifestyle you desire! No more running in circles. This investment will allow you to use this same system over and over again to continue Slaying your plans each year so you can PROFIT! My dad taught me this as a little girl. It never rang more true for me than in entrepreneurship. One of the most valuable lessons I’ve learned. Join Me as we plan for a dynamic 2019! Does it feel like you are busy but not really profiting or unfulfilled in your process? What you need is a strategic plan that aligns fully with the business and lifestyle that you love. I would love to help you create that! Use this same system over and over again to continue Slaying your plans each year so you can PROFIT!